Yoga For Outdoor People With Helen Wilson and Mark Tozer is now available for purchase through the Greenland or Bust website. 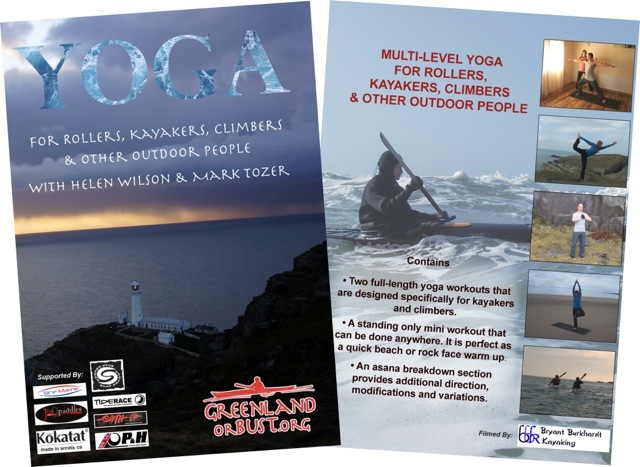 This is a multi-level yoga DVD specifically designed for rollers, kayakers, climbers and other outdoor people and sells for $29.95 to USA residents and for $34.95 to residents outside of the USA. You can read Helen's thoughts about how the DVD came out in her weekly blog. Here is the trailer which was prepared for us by Bryant Burkhardt, who also filmed the DVD.